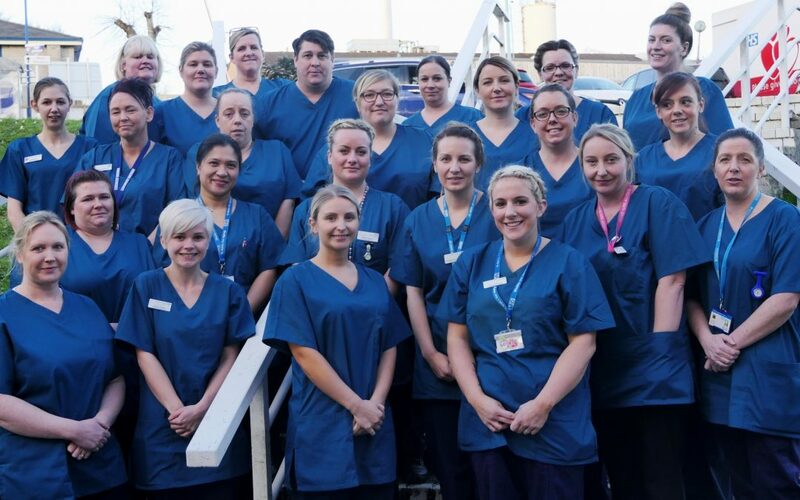 Livewell Southwest and University Hospitals Plymouth celebrated yesterday as the first cohort of Trainee Nursing Associates from both organisations registered with the Nursing and Midwifery Council (NMC). A celebration event was held in the Derriford Centre for Health and Wellbeing which saw Nursing Associates from University Hospitals Plymouth and Livewell presented with their certificates as they joined the NMC register. The event was opened by Jackie Williams, Matron for Resuscitation & Clinical Education at University Hospitals Plymouth and Gill Miller, Professional Lead at Livewell Southwest. Following two years of training, Nursing Associates will work with Health Care Assistants and Registered Nurses to deliver care to patients. The role is intended to address a skills gap between health care assistants and registered nurses, opening a new entry point into a fully registered nursing career. Nursing associates are trained to work with people of all ages in a variety of settings in health and social care. Dan O’Toole, Deputy Chief Executive at Livewell Southwest, said: “Today’s event celebrated the achievement of a group of people who can truly be described as at the forefront of improving patient care. University Hospitals Plymouth and Livewell Southwest were two of the county-wide pilot sites, which also include Royal Devon & Exeter Hospital, North Devon District Hospital and Torbay Hospital who also held celebration events yesterday. University Hospitals Plymouth and Livewell Southwest joined these sites in a Skype call during the event. The Trusts heard from Health Education England National Lead for Nursing Associates, Sam Donohue. Bev Allingham, Deputy Chief Nurse at University Hospitals Plymouth said: “We are delighted to have been part of this exciting and forward thinking development programme for Nursing Associates and it has been a very positive experience being part of a wider Sustainability and Transformation Plan pilot. There has been shared learning and improvement across Devon with overwhelmingly positive feedback from Nursing Associates and our wider colleagues. Dawn Slater, Director of People and Professionalism, Livewell Southwest said: “The trainee nursing associate pilot has been an exciting and innovative introduction to a new nursing role within Livewell Southwest. “It’s been amazing to see our trainees develop and flourish, and they have seized the opportunity with determination and real commitment. They’ve been incredible advocates for the role and we’re hugely proud of them. “It’s been really valuable for everyone involved, and I’m grateful to the managers, mentors and team members who have supported the programme and the trainees and made this such a positive experience.